Strains of the bacteria listeria found inside a California processing plant for apples are thought to have been the same ones that were associated with a listeria outbreak that killed seven people as well as sickened dozens more last year, said federal officials. Two separate strains of the Listeria monocytogenes bacteria had been confirmed in the apple processing plant owned by Bidart Bros, close the Bakersfield, California said the U.S. Food and Drug Administration. The same strains were found in the Bidart Bros apples that were collected from one retailer said a statement released by the FDA. 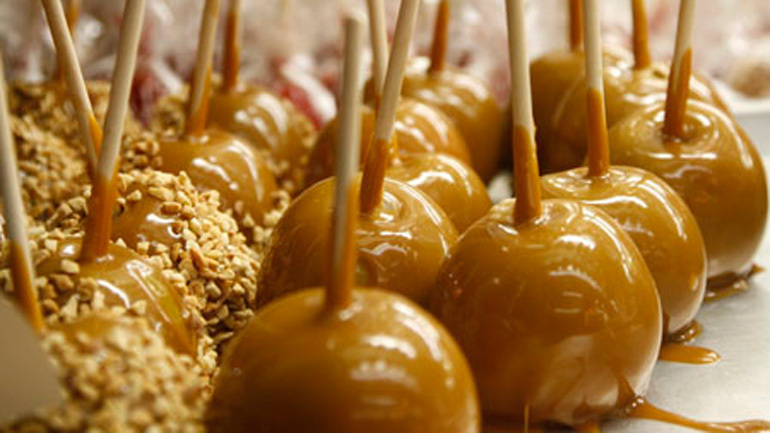 Most of the people who had been infected by the listeria fell ill after eating caramel-coated, packaged apples according to the U.S. Center for Disease Control. In all 32 people were sickened by the outbreak between October and December of last year and seven people were killed, said the CDC. The outbreak spread to 11 states. Bidart Bros last week issued a recall that was done on a voluntary basis for all its shipment of Gala and Granny Smith apples that were still in the marketplace, said the FDA, The last shipment of those apples was sent out on December 2 of 2014, said the agency. In a prepared statement, Bidart Bros announced that the listeria test results had been devastating. The statement continued by saying as a grower operator that is family owned in California since the early 1930s, we put safety first in front of everything that is done. Our hearts, added the statement, go out to everyone impacted by the listeria outbreak that was related to the apples. Listeriosis is defined as an infection that affect primarily pregnant women, older adults, newborns as well as people that have immune systems that are weakened. Symptoms of the infection include muscle aches, fevers, confusion, convulsions and headaches. The U.S. CDC warned in December that consumers should not consume commercially produced, pre-packaged caramel apples, including the one that have other types of toppings such as chocolate, sprinkles or nuts, until the listeria source was found.